An ongoing concern for many older adults, as well as their adult children, is whether they really need to pay for the services of an attorney when planning for their finances and health care in old age. This is a valid question, and people of modest means often feel that they can’t afford an attorney. However, the reality is that many elder care problems faced by families can be avoided by consulting an attorney before their loved one needs any form of care. Collett P. Small, Esq., is an elder law specialist and chair of the elder law section of the Florida Bar. She is a member of the National Academy for Elder Law Attorneys (NAELA) and the Academy of Florida Elder Law Attorneys (AFELA). Small is board certified in elder law by the Florida Bar. 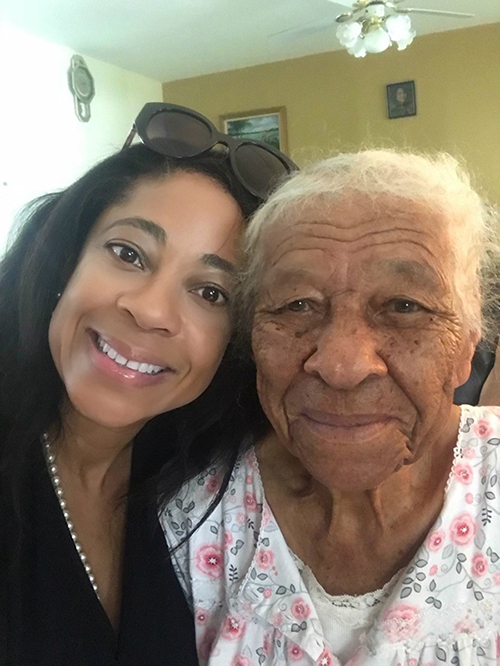 She is also a member of the Florida Joint Public Policy Task Force for the Elderly and Disabled, which advocates on public policy issues for seniors. Additionally, Small is an Alzheimer’s activist. HealthCentral asked Small if she would answer readers’ questions about when to hire an attorney and other questions pertaining to elder care. HealthCentral: What are the most common documents people should have in place before illness or advanced age makes it impossible for them to speak for themselves? Wills govern what happens to your assets once you pass away. A living will focuses on end-of-life medical treatment decisions; it provides explicit instructions rather than relying on an agent's judgment. Generally speaking, the living will sets forth the conditions under which life-prolonging procedures should be withdrawn to let the body die naturally. A health care surrogate designation names another person as your representative for medical decisions if you are unable to make them yourself. This may also be accomplished by using a health care power of attorney. A DNR order instructs a hospital or emergency medical service not to resuscitate a person in cardiac or pulmonary failure. Trusts are documents created, at your direction, in which one or more persons manage your property, subject to certain duties to use, and protect it for your benefit or the benefit of others you name. A pre-need guardianship designation allows an individual to name someone in advance to act as their guardian if they are incapacitated. A Health Insurance Portability and Accountability Act (HIPAA) release authorization authorizes health care providers to share protected health information with a third party whom you designate. This information may also be included in a health care surrogate designation or health care power of attorney document. By having advance directives, you can make sure your property and health care decisions are handled by the person of your choosing if you become sick or disabled in any way. You can also ensure that your family, friends, and loved ones are properly taken care of when you can no longer care for them or you have passed away. HealthCentral: Long-term care insurance premiums are out of reach for many middle-aged people and most elders. Is it inevitable that people just have to watch their lifetime savings disappear in a few months of nursing home care before they need to go on Medicaid? Collett Small: Fortunately, there are other options, such as engaging in public benefits planning and tapping into other resources, such as Veterans Affairs (VA) benefits, if available. Under certain circumstances, and with special planning, the use of certain mechanisms including, but not limited to, certain trusts, annuities, or other income-producing assets may mean that an individual in need of long-term care may not have to deplete all of their assets. In order to protect your assets, preserve your wealth for your family and others, and still age with dignity and a peace of mind, you must have a plan. However, public benefits planning is extremely specialized and complex and should be discussed with an attorney experienced in this area. HealthCentral: How prevalent is elder abuse from your viewpoint? Do you see examples of families who siphon money off the top of elders' estates, leaving the elders to cope with Medicaid when they eventually need nursing home care? Collett Small: Unfortunately, elder abuse is very common and exists in many forms, such as financial exploitation, physical abuse, mental abuse, and neglect. In my practice, I see cases where an abuser forces the elderly victim to sign over their home to them, or make them signers on their accounts from which they proceed to withdraw large sums of cash. Or [abusers may] make themselves agents and beneficiaries under the elderly victim's estate planning documents. Fortunately, there are laws in place to punish the abusers and to recover assets that were wrongly taken. However, it is important that the abuse is identified quickly to increase chances of recovery. The personal financial losses related to abuse can be life shattering and may result in the elderly victim losing their independence, homes, property, life savings, health, and dignity. Consequently, the elderly victim may be forced to go on Medicaid and leave their home sooner than anticipated. It is important that anyone, including family members, neighbors, bankers, medical and legal professionals, and members of the public who see or suspect elder abuse in any form to report it as soon as possible. The problem cannot be solved until it is reported. HealthCentral: Do you think that more emotional and/or physical abuse of elders occurs in care settings or at home? Collett Small: This is hard to say as I suspect a large amount of elder abuse goes undetected or does not get reported at all. It may be easier to hide abuse that is occurring in a home setting where the abuser may be the sole caregiver. This same abuse may be harder to hide in a facility or other care settings as other caregivers are involved and someone is likely to detect the abuse sooner. Whether our loved ones are in a facility or at home, it is very important that the elderly are checked on often. Look for signs of abuse, such as sudden weight loss, bruising, burns, pressure marks, and odd explanations for injuries. HealthCentral: What are the options available for adult children of parents who develop dementia before they have assigned financial power of attorney to anyone? Collett Small: In a scenario where a person becomes incapacitated without assigning an agent under power of attorney, I check to see if any other advanced directive documents were executed. Some documents, such as a trust or health care surrogate designation (also called health care proxy in some states), may be used to make person and property decisions. If there are no such documents or if they [existing documents] do not sufficiently address the needs of the incapacitated person, I look to see if there are any other tools, such as a representative payee designation, that may address the incapacitated person's needs. If there are no alternatives, a guardianship (also referred to as a conservatorship in some states) may be necessary in order to take care of the incapacitated person properly. Guardianship, a legal process, is utilized when a person can no longer make or communicate safe decisions about their person and/or property, or [when a person] has become vulnerable to fraud, exploitation, or undue influence. I always explore any less restricted alternatives before recommending a guardianship as guardianship involves removing rights from an individual. HealthCentral: What is your opinion on families gaining guardianship over their elders? Are most of the requests legitimate, or do you see abuse in this area? Collett Small: Most guardianships which I encounter are legitimate. Regrettably, guardianships are not infallible and can be abused. When properly used, guardianships protect an incapacitated person for whom no other means are available to assist with making decisions about their person and/or property. Laws and safeguards are in place for oversight of the court, which provides added protection for the person who is under a guardianship (the ward). I strongly encourage everyone to meet with an experienced elder law attorney and prepare a plan for incapacity while they are able to. This pre-planning may avoid the need for a guardian later on as well as reduce opportunities for an exploiter to interject themselves into the life of a vulnerable incapacitated person. HealthCentral: Last question: I've seen on social networks that you walk for Alzheimer's activism. Could you please share with our readers your inspiration for doing this? Collett Small: I do this for my clients who are impacted to help raise awareness for Alzheimer's disease. I see firsthand how a diagnosis of Alzheimer's impacts lives. Many people do not realize that Alzheimer's is the sixth-leading cause of death in the U.S. and is the leading cause of dementia worldwide. I am hoping for advancements that may lead to earlier diagnosis of the disease. As I stated in my social media campaign, I walk to bring awareness to the disease, treatment, and prevention and to help raise money to advance the care, support, and research efforts in the fight against Alzheimer's. HealthCentral: Thank you so much. Your willingness to help HealthCentral readers understand some of the complexities of legal work for their aging loved ones has cleared up many questions. We appreciate it. Health Care Decisions: Will Your Wishes Be Known During End-of-Life Care?